This year over 40 members attended with their cars washed and polished. We had a reserved area put aside for us but this quickly overflowed into the general car park. 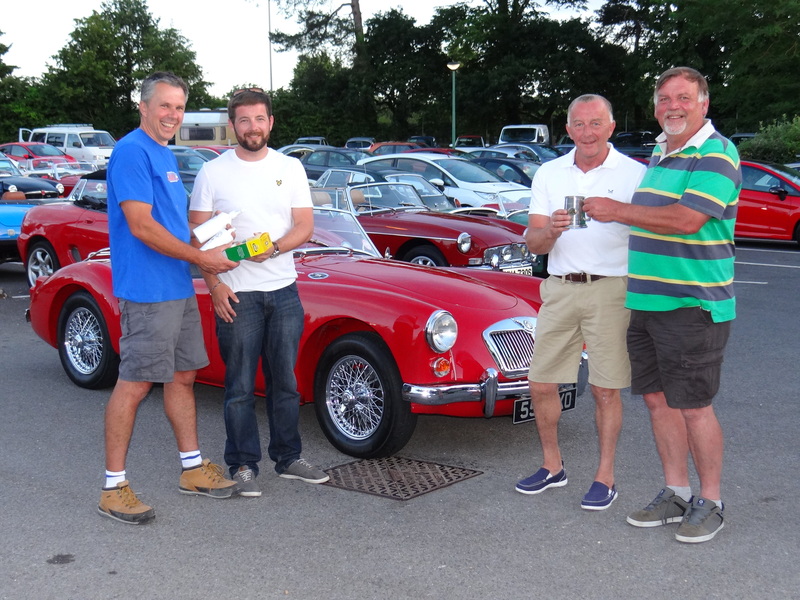 After due deliberation and counting of the voting slips the winners of the "Pride of Ownership 2017" were Derek and Oli Joy with their immaculate 1959 chariot red 1600 Mk1 MGA. The tankard was presented by last years winner, Colin Sexton and Wayne Healey also presented a prize of car cleaning products.